With all the great vegetables and herbs coming online in my garden this week I thought I'd create my own ratatouille dish. I have to admit I'm a little intimidated by ratatouille because of the challenge to prepare the vegetables so they melt in your mouth, and taste fresh and light. I did my research and looked at dozens of recipes, including the famed Thomas Keller version from the Disney movie. 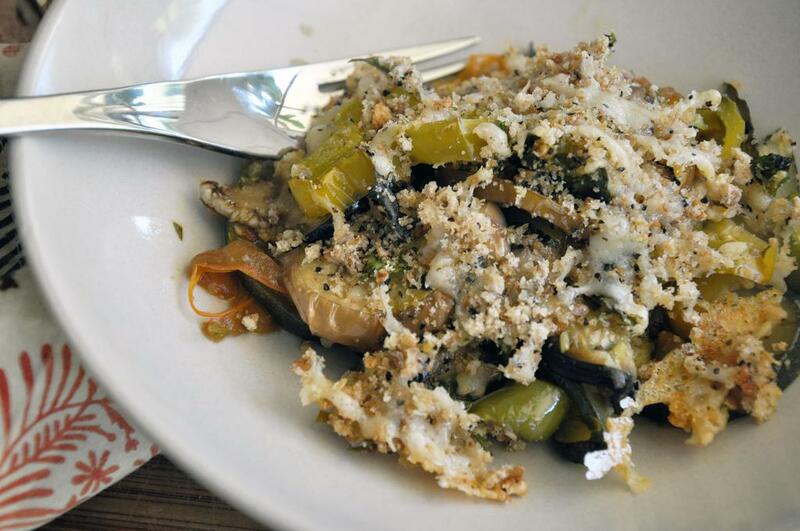 I added a very non-tradition twist of a Parmesan-breadcrumb mixture that I think balances the softness of the vegetables. 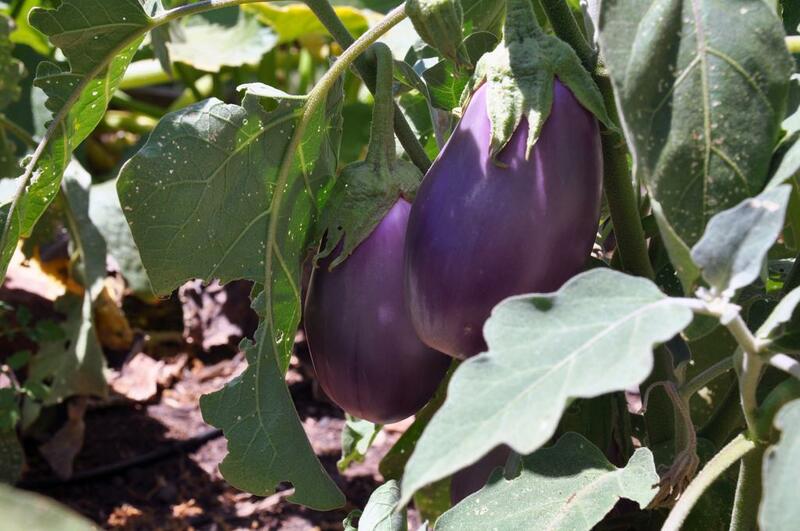 In a large colander, lay zucchini, eggplant, tomatoes, and peppers in a single layer on the bottom and up the sides, then generously salt. Repeat until all of the vegetables are salted. Let drain in the sink for at least one hour. 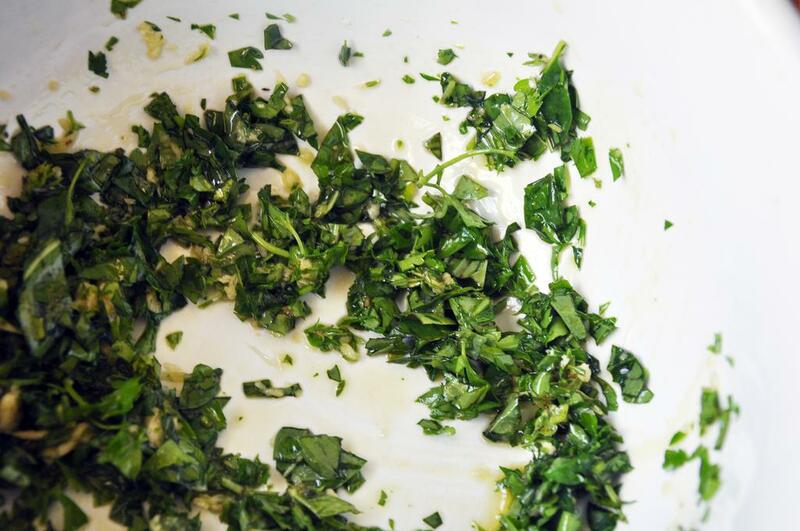 Mix EVOO and herbs in a large bowl, and set aside. Preheat oven to 400 degrees. 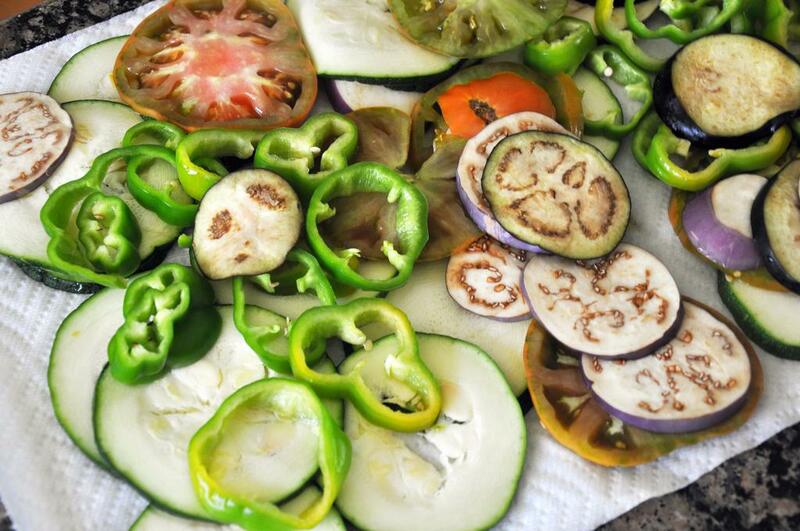 After the hour, place the vegetables in a single layer on paper towels and dry thoroughly. 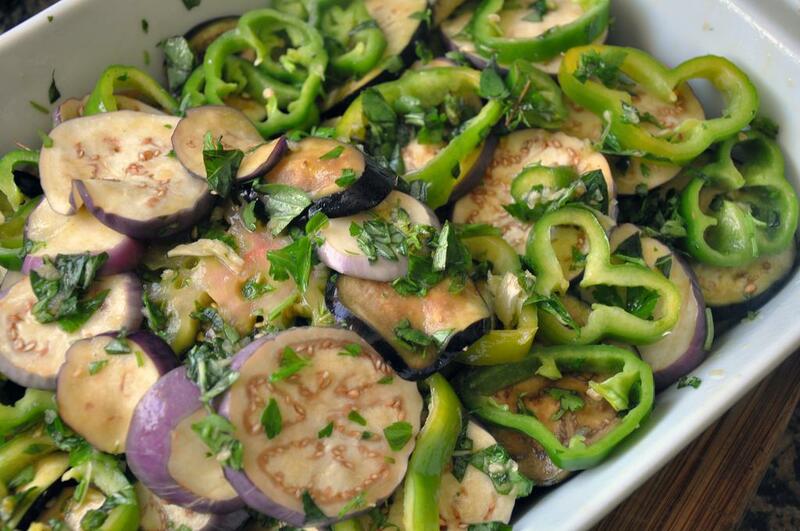 Gently place vegetables in the bowl of EVOO and mixed herbs and toss. In a casserole dish sprayed with cooking spray, layer the vegetables and spread any remaining herbs over them. Bake 30 minutes. 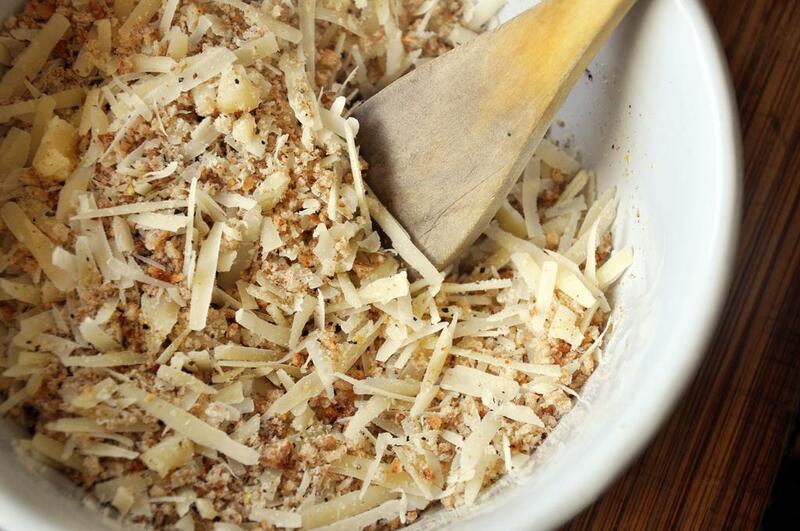 Combine breadcrumbs, cheese and pepper and after the 30 minutes, remove the casserole and sprinkle the mixture on top. Increase heat to 450 degrees and bake for 10 minutes more. Remove and serve warm or at room temperature.